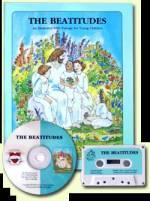 Thy Word Creations (Young Children’s series) is intended for very young children. 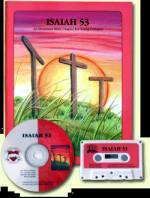 Each set includes an illustrated book with simple pictures relating to the Scripture and words to the Scripture on the opposite page. Young children love repetition and through that repetition unconsciously memorize material read and sung to them. The pictures hold their attention and provoke questions that encourage spiritual discussions with the parents. The songs reinforce the ideas and add interest for the child. With our own children, we found that they absorbed everything we could give them at a very early age whether they understood the full meaning of the words they were singing or not. 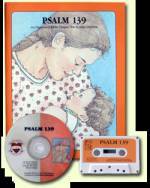 We started early with Scripture songs that were often whole chapters, and even as young as age three or four years old, they would memorize them without effort. Once they know the words to music, they are there forever. 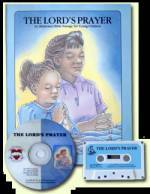 What better gift can you give your children than a knowledge of God’s actual words implanted in their hearts? 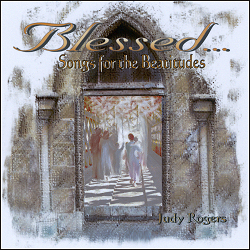 ALL NEW -- Enjoy this new CD from Judy Rogers with songs based on the Beatitudes.